Child With Earflaps Dancing At Studio Background. Description: Child with earflaps dancing at studio background. 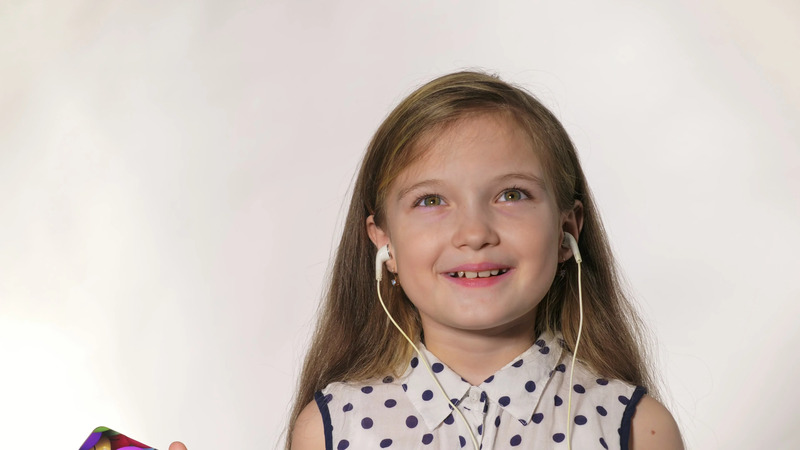 The girl listens to music on the smartphone. The kid has loose long hair. Shooted on a gray white background.